Our service team can advise you whether to repair or replace your appliance. In some cases we can advise you over the phone whether your machine is worth repairing if it is a common fault. In most cases we will need to inspect the machine to provide the correct advice and if it is found the machine is not worth repair the only cost will be the minimum service call fee. 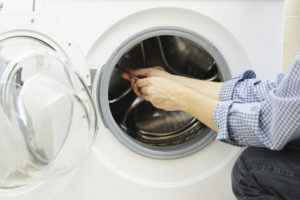 Here at Appliance Repairs Gold Coast we offer a wide range of services to make your life easier. If you are a do it yourself we have a large range of common appliance spare parts, be aware of Queensland Electrical Licensing Laws before embarking on electrical repairs. If you inflict harm to yourself or someone else you may find yourself in legal hot water. Our fully stocked service vans call to your house so you don’t have to lug your appliance around to find a technician. If you do not want to spend money on an old appliance we can either install or supply and install new appliances at very competitive rates. Had a motor burn out or a power surge destroy your appliance? We can prepare an insurance report for your insurance company once we have attended to your appliance.